Ever wondered how our brains process feelings? This is the premise behind ‘Inside Out’, one of the most anticipated movies of 2015, where Disney Pixar will once again tug at everyone’s heart strings. In the movie, creative interpretations of Joy, Anger, Sadness, Disgust and Fear will take center stage as they help 11-year-old Riley go through a big emotional change while also dealing with feelings of their own. Check out what fun things Giordano has to offer! Like Riley, everyone goes through a lot of emotions every day. 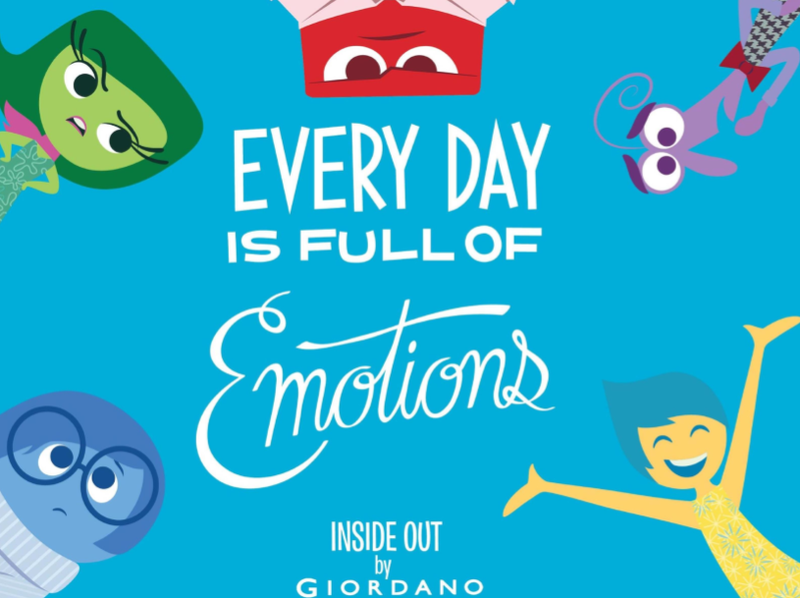 With the latest tie-up from Giordano and Disney Pixar comes the Inside Out collection which allows everyone to literally wear their feelings on their sleeves in high quality fabric. Also coming this month - weekends full of fun activities and exciting freebies at SM Megamall Event Center (August 22 to 23). “The movie’s characters are lovable. 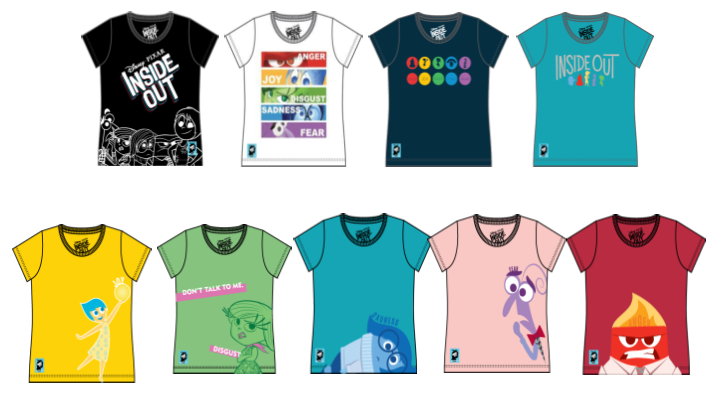 Our new Inside Out collection will surely cater to those who will love the movie while also allowing children and adults to proudly wear and embrace the emotions they feel every day. With this collection, as with all our other collections, pieces are made from premium fabric and we guarantee high quality craftsmanship,” said Rochelle Tan, Giordano VP for Merchandising. The collection features Riley and the colorful personified emotions inside her head. 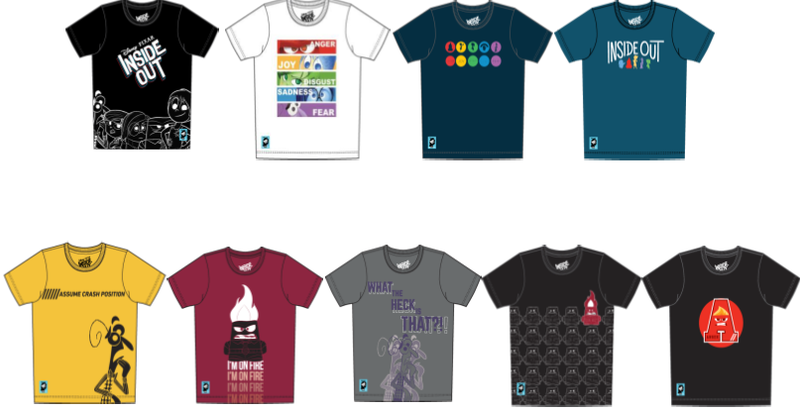 Inspired by a rainbow of emotions, the tees, jackets and caps showcase the body colors of the lead characters. Items in the collection will not only exude vibrant colors and fun designs, it will also have more texture as flock printing is used to replicate the characters’ fuzziness. Meanwhile, the use of digital heat transfer ensures high quality full color printing on shirts and jackets. The colorful printed tees paired with the collection’s support items, like colored shorts, will surely brighten up a gloomy day. Also included in the collection are printed biker jackets and versatile baseball caps.